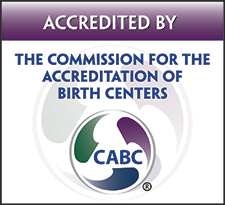 The Perkin Alternative Birthing Center features a staff of Certified Nurse Midwives who provide mothers with a unique, natural birthing option with holistic family-centered care to the women of Southeastern Louisiana. Located in the Ochsner Baptist Women’s Pavilion, making it the only hospital-based alternative birthing center in the region. If you plan to have your baby with us, you will receive your prenatal and labor & delivery care with our Certified Nurse-Midwives. Our midwives work in collaboration with the obstetric staff of Ochsner Baptist. Our OB doctors are available for consultation and in the hospital at all times for labor & delivery. Si necesita asistencia en español, por favor llame al 504-842-3719. As you prepare to welcome your baby into the world, there are so many things to consider. For your comfort and peace of mind, we invite you to personalize every aspect of your birth plan. Explore your options when it comes to pain relief, delivery methods, breastfeeding and newborn care, and choose what and who will ease any concerns and give you confidence on that special day. The Perkin Alternative Birthing Center offer the highest levels of medical care for both you and your baby and a variety of personalized options designed to meet your labor and delivery needs, goals and expectations. Some of our locations offer choices like water birth, wireless monitoring so you can walk during labor, lactation assistance from award-winning consultants and Certified Nurse Midwives. Pregnancy is an exciting, special time in a women’s life. We offer prenatal care that is wellness-oriented and use this time to for testing and screenings to identify any potential issues. Prenatal visits also give you the opportunity to meet and get to know all of the midwives who will be with you during childbirth. You are strongly encouraged to attend a natural childbirth class, especially if you are having your first baby. The midwives will discuss class options with you and require you and your partner attend this meaningful orientation. We believe labor and birth are normal events. Our birthing rooms are designed to give you a comfortable environment for you to do the work of your labor. You can wear your own clothing—as much or as little of it as you want. We also suggest you to bring in your own music to play on our sound system. Birthing rooms are spacious, have family room space and a birth stool. A microwave and refrigerator are provided in each birthing room. You may bring in your favorite non-alcoholic drinks and food or use our food service. Each birthing room has a large tub and a shower. Hydrotherapy is a wonderful tool for labor. You may want to wear a sports bra or bathing suit top in the tub. Your partner should also bring swim clothes if you want support in the tub. We start IVs only if necessary and we will monitor your baby’s heart tones intermittently with a hand-held water-submersible Doppler. You should bring in your own birthing ball. Because the energy expenditure of labor is similar to that of a 50 mile hike, we encourage laboring women to eat and drink as desired during labor. Although we have many water births, sometimes women use the tub for labor but end up delivering outside the tub for a variety of reasons. If you have any religious, spiritual or personal rituals that you want to incorporate into your labor, birth or post-partum experience, tell the midwives. You are welcome to invite your family members and friends. There is a family room and shared kitchenette for your use. We also have a waiting room by our office space and a large waiting area on the other side of the elevators. We welcome brothers and sisters and ask that each child have an adult support person with them. Please talk to the midwives about how to prepare your child or children for this event. Nurse-Midwives care is for healthy women having low-risk pregnancies. During your initial visit with one of our midwives, she will screen for risk factors that would make you ineligible for midwifery care. These may include diabetes, chronic high blood pressure, and heart disease. Conditions during your pregnancy that would require transfer to a doctor’s care include insulin dependent gestational diabetes, preeclampsia, and a persistent breech presentation. The Perkin Alternative Birth Center is equipped with emergency equipment but is not staffed for high risk care which requires continuous fetal monitoring. This area has two rooms with tubs, other rooms with showers, and two portable, submersible monitors that can be used for continuous fetal monitoring while still allowing for mobility and hydrotherapy. If you will be induced or have a planned vaginal birth after a C-section, it will be with midwives in the Labor & Delivery unit on the 6th floor. We have a 10-14% transfer rate. Reasons for a transfer to the 6th floor Labor & Delivery unit include desire for an epidural, fetal heart tone concerns requiring continuous monitoring, maternal fever, high blood pressures, meconium stained fluid, excessive bleeding, need for Pitocin, and other complications. If transferred, in most cases the midwife will still be able to delivery your baby. If forceps, vacuum, or a cesarean section is needed, the on-call staff obstetrician will perform the procedure. For non-emergency assistance such as lab tests, financial questions or scheduling issues for our nurse-midwives, call 504-894-2880 during clinic hours, Monday-Friday, 8:30 a.m. to 5:30 p.m. After hours, please leave a voicemail message. For urgent medical issues such as bleeding, not feeling the baby move or signs of preterm labor or actual labor, call 504-468-7167. An operator will take your message and immediately contact the nurse-midwife who will call you in 15-20 minutes. If your call is not returned, call 504-468-7167 again and ask to stay on hold to speak with a midwife. DO NOT leave a message on voicemail if you have a medical issue that needs immediate attention. Our pediatricians usually require a 24 hour stay for a newborn baby. In most cases, you will stay with your family. If you or your baby needs to be in the hospital for more than 24 hours or if you wish to stay in the hospital for 48 hours, you and your baby will be transferred to the Mother-Baby unit on the 6th floor. In this unit, one nurse will care for both you and your baby in the same room. We will arrange a circumcision to be done by a staff obstetrician if desired. You may need to stay longer than 24 hours to have the circumcision done before you are discharge from the hospital. You can order food through our At Your Request program. We will try to keep at least one birthing room available at all times. This means that if you have delivered your baby and another woman is admitted in labor, we will transfer you to the Mother-Baby Unit. We do not anticipate this happening very often. We also ask that families are prepared to leave 24 hours after delivery. Thank you for entrusting us with your care during this special time in your life.